Chaletfinder is thrilled to be thought of as one of the premier catered ski accommodation rental providers out there and we put you directly in contact with the owners of catered USA ski chalets - and this will help to guarantee that you don't have to worry about paying over the odds for your catered ski chalet in USA. Choice is something you definitely won't be short of when it comes to snowboarding and skiing resorts in the United States but, in terms of sheer popularity, Colorado remains the most famous and frequented. Chaletfinder has a phenomenal array of catered ski chalets in USA and we will be able to match the perfect accommodation with your group size and preferences to ensure you get your ideal catered ski chalet. USA ski trips tend to be incredibly memorable so it is essential to make sure you locate the ideal catered ski accommodation for you and your friends and family - Chaletfinder will take care of this part of the trip for you. 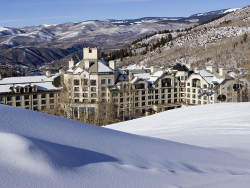 The USA is a leading ski destination for eager skiers the world over and this is something that you will witness for yourself with the immense quality of the catered ski chalets. USA has plenty of ski pistes and Chaletfinder are continually finding new catered ski chalets in USA to add to our portfolio all the time. Colorado is still our most sought after skiing resort in the USA. Catered ski chalets are the most popular form of accommodation and the main benefits of picking a catered ski holiday include: No More Hassle - Getting your breakfast and evening meals supplied is certainly one of the main reasons that people choose catered ski chalets. USA has thousands of fantastic options for those looking for catered ski accommodation and here at Chaletfinder, we are delighted with the calibre of our catered ski chalets in USA. Time Management - Whilst finding the perfect accommodation is essential when skiing, you will want to spend as much time on the pistes as possible and this is something that will be facilitated by choosing a catered ski chalet. USA skiing centres around the Colorado region and Chaletfinder offers many superb catered USA chalets in and around the area. Chaletfinder is synonymous with quality and our catered chalets in the USA have to be seen to be believed and if it's an unforgettable skiing holiday you're after, you need look no further than the USA. Catered chalets are the best choice for those who want a stress free trip and as much time on the pistes as possible. We are here to help at Chaletfinder and if you are struggling to find the perfect catered ski chalet in USA for you, just call our friendly advisors on +44 (0) 161 408 0441 and we will work together to find the best USA catered ski chalet for your needs.